Recently I have been thinking more about business value. 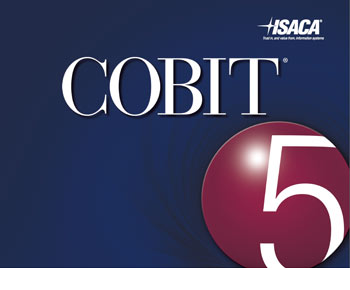 Through some reading I find that I keep coming across COBIT, more specifically COBIT 5 which is the latest release. While this was not the first time I had reviewed it I began to look at it with more emphasis on the value proposition and strategy of IT. If you’re not aware, COBIT 5 is an ISACA framework which helps enterprise achieve their objectives for the management and governance of IT. In one way or another IT has a direct impact on your business performance. Think about organizations which are leaders in their fields, it is highly likely that their IT teams enable their businesses to outperform their competition as a result of being more innovative. These IT teams are more likely collaborating with their businesses as well. These two traits, while they sound like simple and obvious strategies, are not the “same old” support model typical organizations will employ. This is where the great companies rise above the good ones. Take your organization for example, you might be quite good at supporting your business objectives in an operational capacity but to be able to compete you really need to work with your business in a strategic way. One of the important facets of COBIT ensures that we are also looking at what risks could present themselves to our organization. Much like the ever changing landscape of technology, we also need to keep our heads above water with regards to evaluating risk. This is done through leveraging good practices and process which is driven by COBIT at its core. As many of you know the underlying reason we have process aside from being able to produce consistent results is to protect our business as it might pertain to any regulations which we need to adhere to. Depending on what area of the world your organization resides, or trades financially, you may be subject to some level of regulatory auditing. COBIT is set up in a way which allows your auditors to easily see how you have structured your process.